More about iittala Toikka Quendelon It takes a medium as alive as mouth-blown glass and craftsmen as skilled as iittala's blowers to achieve a blue so vividly saturated yet still crystal clear. While this captivating color may be the first thing you notice about Quendelon, also take note of the scalloped feathering that extends from the nape of the neck to the tip of the tail.This handcrafted detailing starts out sharply defined but gradually becomes a blur of white, windswept strokes to mimic motion. 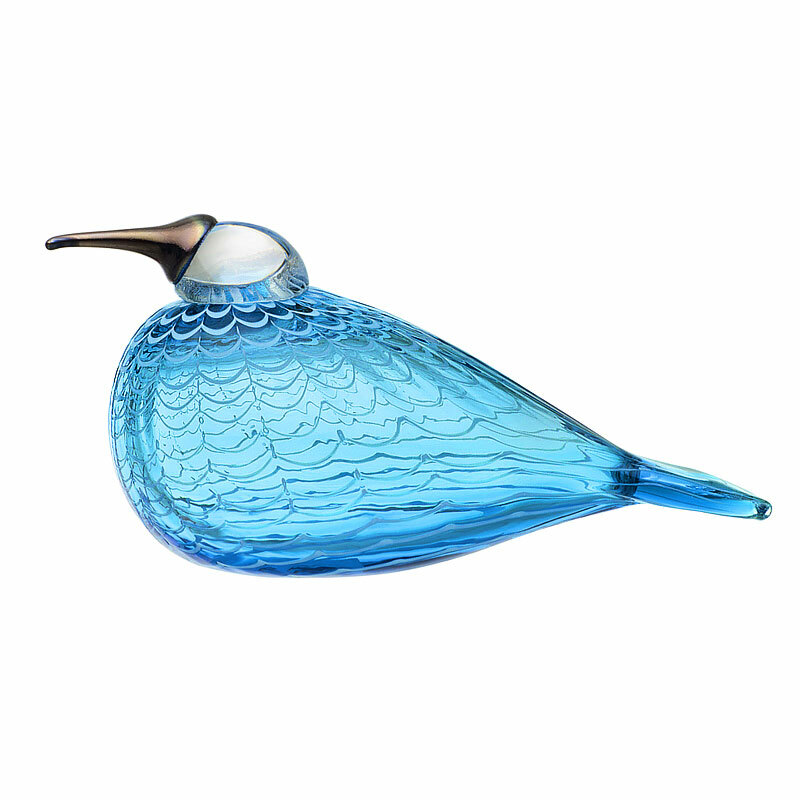 The long beak sculpted from opalescent glass is also worthy of admiration from seasoned Toikka collectors and newfound fans alike.